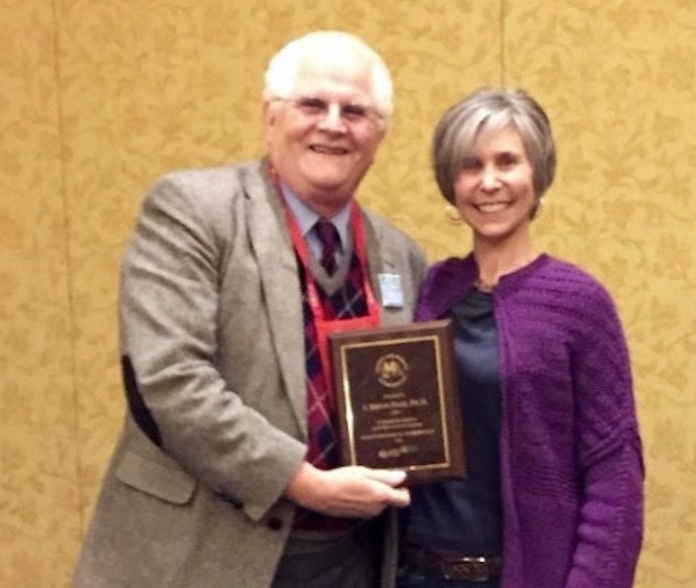 ADTSG member, J. Bryan Page, was honored at the 2016 American Anthropological Association Annual Meeting in Minneapolis for his two decades of service to the Society for Medical Anthropology and the discipline! Below is the full story about the Bryan’s work and the award ceremony. As the 2016 Business Meeting came to a close, we enjoyed, as we have for twenty years now, a song honoring outgoing board members and encouraging continuing and new members in their work, written and performed by J. Bryan Page. The songs have been varied and sometimes Dr. Page brings an instrument or has friends help; this time, C. Lance Gravlee also sang. As this year’s song concluded, and Dr. Page turned to make for his seat, he was summoned back to the front of the room by President EJ Sobo, to receive an ad hoc service award for his longstanding musical contributions to SMA. “I will never forget the look on Bryan Page’s face,” said Dr. Sobo, who delighted in sharing news of the award with Dr. Page. After her brief commemoration, and presentation of a plaque honoring Dr. Page for “20 years of Service in Song,” the audience burst into song spontaneously, joyfully offering up another chorus of Dr. Page’s 2016 honorific composition, singing “He gave us his talent and time, talent and time. He gave us his talent and time” to the tune of “God Rest Ye Merry Gentlemen.” f you missed the SMA Business Meeting last November, you can listen to the song here. 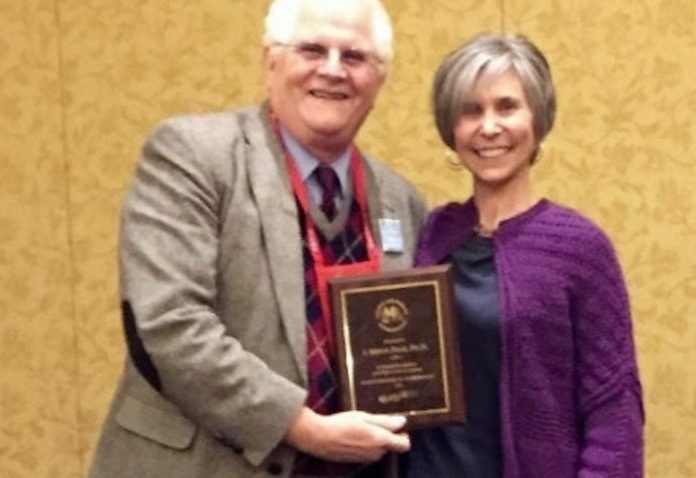 SMA is fortunate to have benefited from Dr. Page’s musical largesse for so long (it is, we confess, the main Business meeting attraction for many members). Dr. Page has been a musical performer all of his adult life, singing in chamber groups, church choirs, and as a duo with his younger brother. “My music came in handy during my field work in Latin American locations,” he told us, adding “I also sang as a tenor and countertenor soloist with the University of Florida Symphony, The Florida Philharmonic, the Duke Chapel Choir, and the Costa Rican National Symphony.” On January 20, this year, he performed a solo recital in Miami. n terms of his scholarship, Dr. Page specializes in studying the consumption of drugs in urban, street based settings. His 42-year career in the anthropology of drug use has focused on the consequences and impacts of various patterns of legal and illegal drug use in a wide variety of cultural settings. His publications include over 100 peer reviewed articles and book chapters and numerous other materials, plus two peer reviewed books co-authored with Merrill Singer (The Social Value of Drug Addicts, 2014; Comprehending Drug Use, 2010). After serving fourteen years as Chair of the Department of Anthropology at the University of Miami, he is returning to a mix of teaching and research. This entry was posted in Uncategorized on 7 March, 2017 by Shana.Harris.